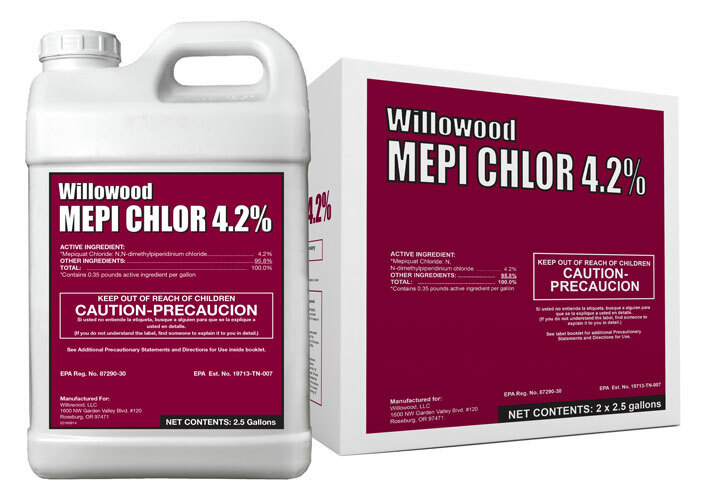 Willowood Mepi Chlor 4.2% is a plant growth regulator used primarily to control vegetative growth in cotton. By controlling vegetative growth early in the cotton growing season, growers can improve potential yield and reduce excess vegetative growth with the use of Willowood Mepi Chlor 4.2%. Reducing excess vegetative growth can also result in earlier and more timely harvest to reduce the chance of a late season weather incident. PIX® is a registered trademark of Arysta LifeScience North America, LLC.